Mandi and Isabella used fluorescent duct tape as a framing device throughout the neighborhood to call attention to the performing artists that they curated. 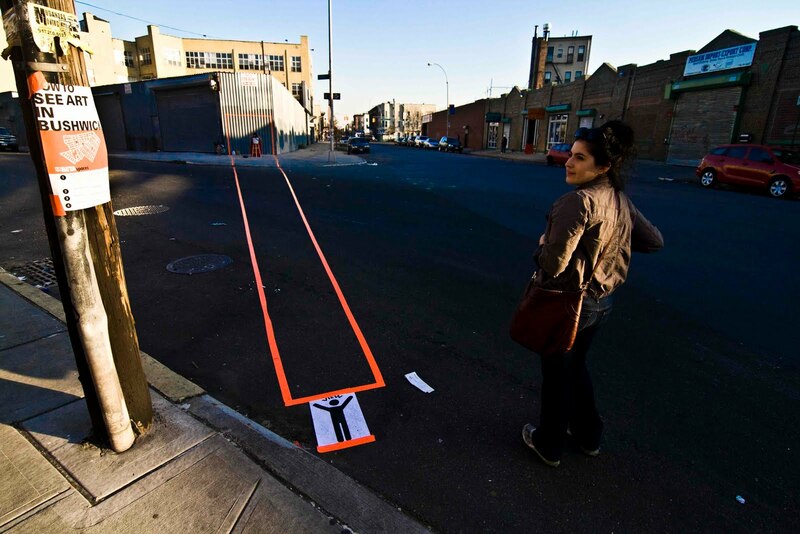 This created a "faux stage" or "instructions for viewing art" on the streets of Bushwick. The idea was for pedestrians to stumble upon these art installations unexpectedly and to provoke them to consider how they viewed everyday environments in their own neighborhood. 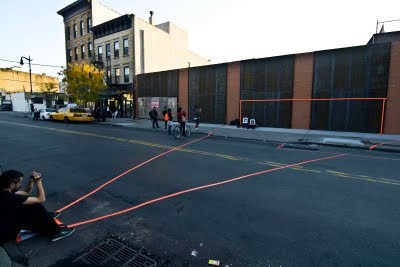 The intrepid "duct tape designers" reported that they enjoyed watching the reactions of pedestrians who either stopped to view the installation or pass by it with no regard at all. 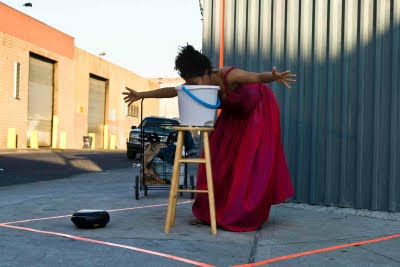 It was an interesting experiment for sure, especially since one of the performers almost got arrested because their tape was "defacing public property." The officer said that he, "Couldn't bring her downtown looking like that ..." (wearing a red prom dress in the photo below) and he'd never seen anything like THIS." Kudos to Isabella and Mandi for taking their design ideas to the streets! You can find an audio interview about the BETA Spaces event by clicking HERE.